Every year, new chat apps gain popularity, huge volumes of data move into the cloud, foreign language documents unite business initiatives across multinational corporations, and discovery professionals have to learn how to process it all. The data explosion continues to grow, and it is now common for companies to generate information important to corporate investigations or litigation that is "dark"—not easily searchable or hard to access in most ediscovery tools. Dark data can refer to electronic information within an organization that is not easily searchable or accessible. This means that it is likely to be in an unstructured format, unclassified, and likely unmanaged by current information governance solutions. Cloud-hosted files from Dropbox, Box, GDrive, etc. 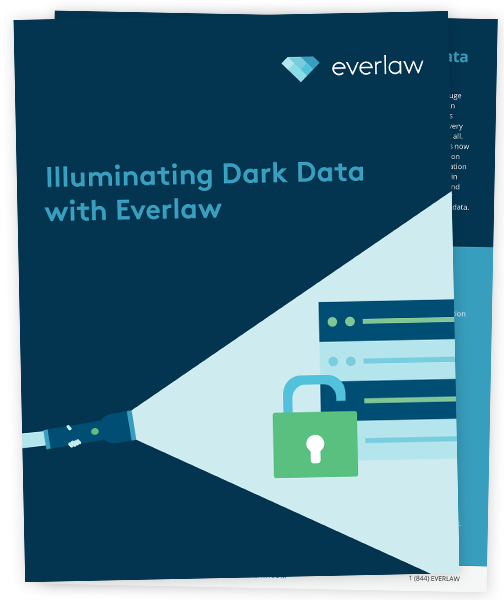 This white paper will explore how legal professionals can use Everlaw to expose the hidden details of dark data at scale.